With B.C. experiencing a measles outbreak and Vancouver Coastal Health confirming nine cases, the B.C. Centre for Disease Control says it wants to inoculate the next generation of kids against misinformation. To that end, it is reminding teachers, schools and families about its tool kit to teach kids the importance of vaccination against infectious diseases. 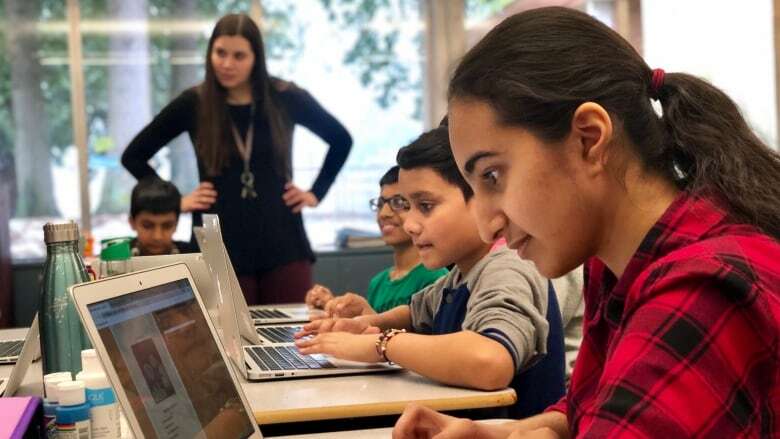 Ian Roe, the content strategist with the BCCDC, helped create Kids Boost Immunity — an online learning tool for students across the province to help them learn about immunizations. "What we're doing is not new ... we've done it in other ways to educate everyone with things like recycling or smoking cessation," Roe said. "I always say we try to inoculate kids against misinformation for the next generation and that's really what we're trying to do." The program is designed with 35 online lessons aimed at school-aged children in grades 4 to 12. Each lesson can be done by the students on their own time but are also being used in tandem with teachers' ongoing lesson plans. Roe says the added benefit is the global citizenship component of the program. If the student receives 80 per cent or higher on a module, they earn a vaccination which is donated to UNICEF for children around the world. So, there's a real incentive there for kids to want to do well not just for the learning-for-learning's sake but also to help others," Roe said. "That's actually been the most important kind of learning for us that the kids really get inspired." It's parents who ultimately make the decisions around immunization, and Roe says educating kids is just one way to tackle the issue. "This is not a new problem. We're trying to address it at a root level," Roe said. "Kids are excited about it ... and they'll go home and also talk to their parents."